INTERVENT/WM utilizes OPTIFAST® – a medically supervised weight management program that closely monitors and assesses progress towards better health and emotional well-being. OPTIFAST® has been successfully used in Canada for more than 20 years to help overweight and obese patients obtain a healthier weight and BMI. The module comprises a high-protein, low-caloric meal replacement plan and several detailed support functions for those looking to lose excess weight. The OPTIFAST® program creates an atmosphere of support, accountability and accomplishment when milestones are clearly identified and celebrated upon completion. 1. Drawert S, Bedford K, Largent D. Change in glucose, blood pressure, and cholesterol with weight loss in medically obese patients. Obes Res. 1996; 4(SI):67S. 2. Wadden TA, Frey DL. A multicenter evaluation of a proprietary weight loss program for the treatment of marked obesity: A five-year follow-up. Int J Eat Disord. 1997; 22:203-212. 3. Bischoff et al. Multicentre evaluation of an interdisciplinary 52-week weight loss program for obesity with regard to boy weight, comorbidites and quality of life-a prospective study. Inter J Obes. 2011. June 1-11. © 2017 INTERVENT/WM Medical Weight Management™ Program. All Rights Reserved. 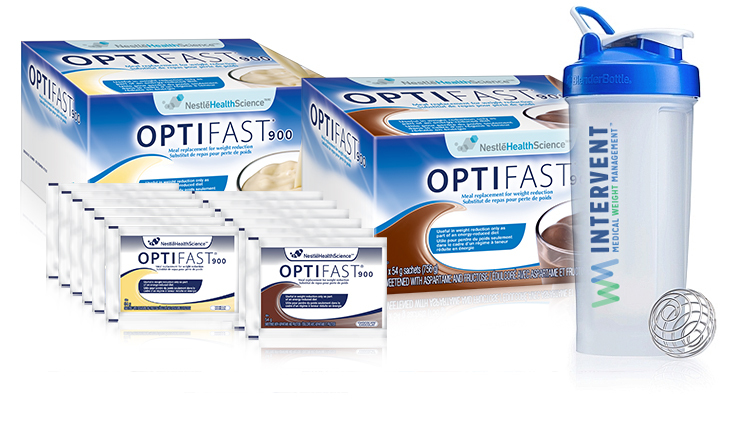 The OPTIFAST® & Nestlé names and logos on this site are solely owned by Société des Produits Nestlé S.A., Vevey, Switzerland and are used with permission.